"Memorable melodies. Soaring harmonies.A timely message. The Holy Fathers of St. Katrina sound more like a classically trained choir than a group of Swedish Monks!" 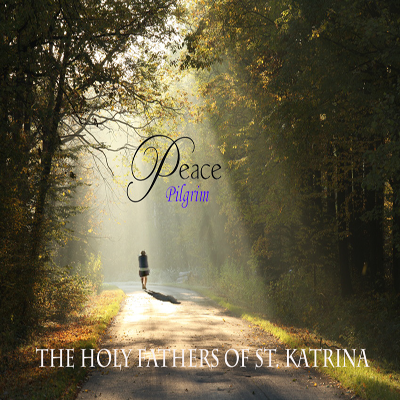 "The Holy Fathers of St. Katrina with their first CD in English, pay homage to the late American peace activist - "Peace Pilgrim." Urging us all to "walk our talk" on the road to peace. Warning: you will be humming these tunes in your sleep!" "After their groundbreaking polyphonic CD -"Healing Chants" - the question was: What's next for the Holy Fathers? This passionate hymn to peace is the answer. Well worth the wait!"